The rapid evolution of patent transactions will be the focus of a presentation and discussion at the LES North America meeting in Toronto, Canada. Patents have fared best among IP as financial assets, and today can be leveraged in different ways. Invention rights played a critical role in Google’s acquisition of Motorola ($12.5 billion, 17,000 patents, 6,000 applications) and in Nortel’s bankruptcy sale to the Rockstar Consortium for $4.5 billion. Buyers included Apple, Microsoft, Ericsson, RIM, Sony and EMC. The evolving role of patent transactions, or “Patent Transactions in Transition,” will be the focus of a workshop moderated by IP CloseUp’s Bruce Berman (of Brody Berman Associates) at the Licensing Executives Society annual meeting on Tuesday, October 16 at 2:00. It’s session 3E. The LES meeting this year is being held at the Sheraton Centre Hotel, 123 Queen Street West. Panelists will include Myron Kassaraba, partner, Pluritas, LLC, one of the leading patent transaction firms; Dan Henry, Senior Vice President, Business Development, WiLAN (NYSE:WILN), a publicly held IP licensing business; and Sanjiv Samant, Managing Director, Technology, for Canaccord Genuity (TSX:CF, LSE:CF), a global full-service investment bank. This year’s LES attendees are invited to attend what should prove to be a timely session. Lively panel and audience q&a is expected. Recent record prices for patent sales and shares of selected technology businesses (e.g. 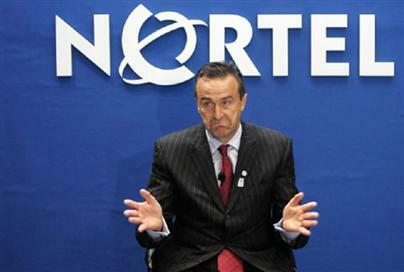 Nortel, Motorola, InterDigital) have turned up the volume on angry anti-patent rhetoric. Patent owners of all shapes and sizes, including some operating companies, continue to be described in a variety of unfavorable terms, some of them unprintable. On balance patents do much more good than harm, and the U.S. patent system, far from perfect, works well. It is responsible in part for spawning the most innovative companies in the world. 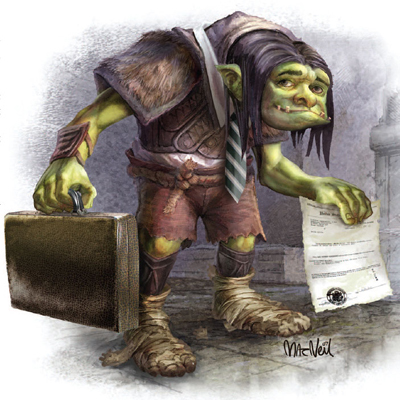 Many software developers, academic economists, CEOs and others, clinging to half-truths nurtured by myths and self-interest, believe that patents are anti-competitive, impede progress, tax consumers and line the pockets of lawyers. This is utter nonsense. Conclusions drawn in the article are likely based in part on what companies Lohr covers and analysts like Harvard professor Josh Lerner are telling him. Lerner is co-author of Innovation and Its Discontents, a strangely myopic book which I reviewed (skeptically) for Nature Biotechnology. It suggests that patents have become too strong and are destroying businesses, innovation and endangering lives. What is it with patents that raises the ire of otherwise intelligent people? One reason is that patents are highly abstract, “exclusive” rights that on occasion can stop speeding products cold. Patents are complex to understand, difficult to validate, dangerous to monetize, frustrating to value, and expensive to acquire and enforce. Their performance is almost impossible to measure. Infringing a patent often is easier and much cheaper than licensing it or conducting costly R&D to design around. And then the infringer has to get caught and prosecuted. For some businesses patent infringement settlements are like a speeding ticket. They pay it if they have to and go on their merry way. They may still be ahead billions of dollars had they done the the right thing. I am not a particular fan of Intellectual Ventures, a NPE which has acquired more than 35,000 patents. A recent NPR broadcast, “When Patents Attack,” is dramatic radio entertainment but shoddy journalism. It was aimed at exposing the evil patent system as embodied by I.V. I am a big fan of This American Life, so their feeble expose hit home. What were they thinking? Often when a company believes it has the patents it needs to do business it does not. This can be painfully frustrating, and costly. It is the nature of business innovation, predating Alexander Graham Bell and Edison. Smart companies do their best prevent infringement by searching prior art and planning for the inevitable disputes. They also build a patent portfolio that can provide some leverage against operating companies. Frustration of this kind does not mean that invention rights are evil or counter to most Americans’ economic interests. The Founding Fathers thought IP rights served an important purpose, writing them into the U.S. Constitution before the right to raise and support a standing army and the right to declare war. The fact that some companies are finally respecting patents is not only good for shareholder value, it can provide a boost to innovation. Now that the patent playing field is actually starting to level, some businesses are having trouble adapting. A number of companies with abundant numbers of patents would still like to see them weakened, in general, and threats to their franchise diminished. The pricing of the Nortel and Motorola patent portfolios got out of hand because some companies thought they could provide next generation mobile or 4G products and services without the necessary IP rights. They were wrong. Brand power is mighty, but it still is no match for the right patents. When businesses need to catch up quickly, the market extracts a pricing premium. Research in Motion paid for its IP mistakes in 2006 when it wrote a check for $612.5 million to settle an infringement suit. (Reportedly it could have settled for some $40m several years earlier.) 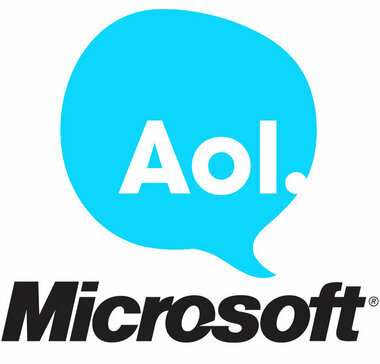 Microsoft paid dearly in the 1990s for its mistakes, but had the luxury of time to catch up. Google did not. Facebook, LinkedIn and Groupon with a dozen or fewer patents each, will not be far behind. Costly as it may appear, IT companies are learning that it is often more efficient to pay a premium for proven rights that they must have than spend billions, plus years of time, on hundreds of speculative inventions and their questionable rights that may some day have value. The pharmaceutical industry is well acquainted with the need to conduct M&A along with its R&D. Maybe there is a lesson here: A buyer really doesn’t know if it has overpaid until all of the accounting is in. For some cash-rich and credit-worthy companies, buying patents at a premium that will shape a market, slow competition or deflect litigation or a possible injunction is less lazy a decision than a prudent investment. Those who encourage disdain for innovation rights because of some businesses’ lack planning or scruples (or both), or because independent patent holders today are better equipped to confront infringers, are doing innovation and commerce both a disservice. Who Will Make Best Use of the IP? A lot of people are interested in what bankrupt Nortel will do with its valuable patent portfolio. In fact, the company is in the process of soliciting bids from parties. 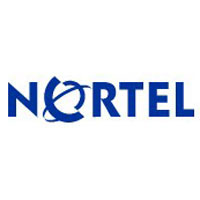 According to a recent article by Dow Jones reporter Stuart Weinberg, Nortel Solicits Bids for Patents, Deciding Whether to Sell, the price for the more than 4,000 patent portfolio could go as high at $1 billion. The portfolio is said to include LTE or long-term evolution cellular rights which are key to industry standards. Three questions: (1) Did Nortel seriously consider monetizing these valuable assets before it was forced file for bankruptcy? (2) Must it liquidate them? (3) To whom will the portfolio be worth most? A strategic user like (BlackBerry maker) Research in Motion, which is said to be interested, could make good use of many of the patents. So, too, can a more aggressive licensor like an NPE. But no NPE to date has come up with that kind of capital. Intellectual Ventures and possibly Coller ipCapital could. Alternatively, it may make most sense to the current owners to retain the patents for licensing in the ongoing company. This may not be to the liking of hungry creditors, eager to cash out what they can. The Nortel conundrum is an illustration of how far perspectives of proven IP have come. Financial/IP advisors are Lazard and the Global IP Law Group. Both have their work cut out for them. I hope the are up for the challenge. Interesting story today in TelecomTV by Peggy Albright about bankrupt Nortel’s disposition of IP assets. “Even the process Nortel is going through to determine the disposition of its IP assets is unusual. Normally a company’s executive leadership has the ultimate authority over what to do with its IP. And normally a company would conduct its licensing negotiations with the utmost secrecy. It’s unprecedented for a wireless patent portfolio of this size (several thousand patents) and reputed quality to come to market. It will be interesting to see how much cash it generates for creditors.